I bought this a few years ago from a friend who is an FFL in Minnesota. I also got close to 150 rounds of 7.62x45 ammo to go with it as well! All these years and I have yet to shoot it; I started to strip it down one day to see how hard it was going to be to clean it after shooting - and it humbled me for a while. Its a "she 56." Time to get it out and shoot it! They shoot very well. Eject to the left,which is great for me. The original ammo is the most corrosive I've ever seen. 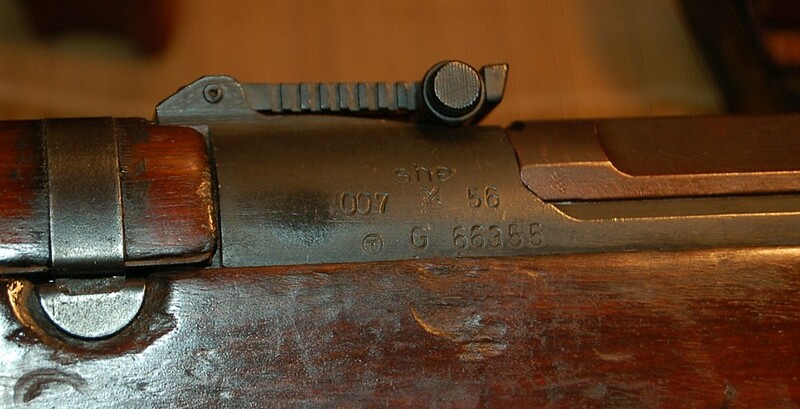 The rifles operating system must be torn down and cleaned in hot soapy water to protect the barrels outside as it is the "cylinder" so to speak. These rifles have the fasted deploying bayonet of any rifle I own.Why other countries did not use the design is beyond me. The cartridge is very close to the old .300 Savage,not the 7.62x39 as most uneducated posters write. I'd love to find a stash of the bullets as they are a mini-Match King and shoot long distance accurately. If your into reloading,I can guide you through making brass for your rifle. It is not hard,just takes awhile to do. We have a bunch of the surplus ammo for sale if you need any. I decided to field strip the rifle to give it a good cleaning and lube job before I take it to the range (of course here in Texas its been raining for two days!) and shoot it. Darn that recoil spring and guide rod! I had loads of fun trying to put it back together! So - I removed the bolt/bolt carrier and started to push the spring inside it - holding and pushing. On the second try - success. I was able to compress enough spring to be able to push the guide rod in then reinstall the assembly. Then it was a simple matter to push the guide rod forward enough to allow the dust cover to be put in place! Cool! If you don't mind me asking, where did you scrounge up the ammo from? I'm not aware of any current manufacturers that produce 7.62x45. None we know of producing it. We found a little over 1,000 rounds at a auction. Not sure how much is left but what we have for sale is posted in our section of the forum. Oh! Alright, cool. Thanks for the info!